UFC 229: Is Tony Ferguson’s championship window closing? Here’s a fun exercise for anyone that wants to put themselves in a very uncomfortable position: ask an already-irritated fighter, who is making an expedited return from a serious injury after being stripped of a title he worked exceptionally hard to earn, if his championship window is closing. 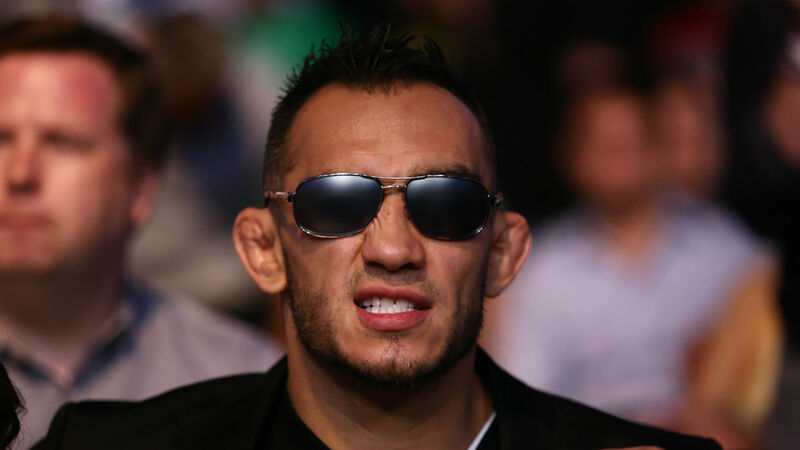 Six months after a freak accident scuttled a scheduled bout against Khabib Nurmagomedov for a fourth time and sent him to the operating table, Tony Ferguson is poised to return to the Octagon. He’s worked maniacally to rehab his injury and make a hasty return to competition, but the landscape of the lightweight division is much different now than it was just before he was forced to the sidelines. Nurmagomedov stayed on the card at UFC 223 in Brooklyn and beat Al Iaquinta to claim the undisputed lightweight title, positioning himself atop the division for the time being. A week later, Dustin Poirier picked apart and finished Justin Gaethje to stake a claim to a place in the upper echelon, cementing his place on the short list of potential title challengers by doing the same to Eddie Alvarez three months later in Calgary. After more than two years on the sidelines, Nathan Diaz is just a few weeks away from fighting again, paired against Poirier in a highly-anticipated clash at UFC 230. And this weekend, “The Notorious” Conor McGregor ends his extended absence as well, walking straight into a championship showdown with Nurmagomedov that headlines Saturday’s UFC 229 fight card at T-Mobile Arena in Las Vegas and is poised to do massive pay-per-view numbers and re-write the UFC record books, according to UFC President Dana White. Although he’s still carrying around a shiny, gold UFC championship belt, Ferguson was officially stripped of the interim title the minute Nurmagomedov’s bout with Iaquinta commenced at UFC 223. Stumbling over some cords not only forced him to miss the biggest opportunity of his career (again), but it also cost him something he’d spent years working to acquire. It took a nine-fight winning streak, featuring wins over highly respected veterans, dangerous upstarts and a former champion, in order for Ferguson to secure his first shot at the UFC gold and even then, it was only for an interim title. When Nurmagomedov was pulled from the bout the day prior to UFC 209 due to complications with his weight cut, it took another seven months before he was re-booked, stationed opposite upstart Kevin Lee in a main event assignment for that same marginalized belt. A year after submitting “The MoTown Phenom” in the third-round at UFC 216, Ferguson is back in pretty much the same position — riding a lengthy winning streak, regarded as one of the elite talents in arguably the most competitive division in the sport, and still waiting for his chance to both face Nurmagomedov and fight for the undisputed title. The difference is that last year, it felt like those last two were inevitable and bound to happen simultaneously. This year, neither is guaranteed, not even if Ferguson goes out and stunts on Anthony Pettis on Saturday night in Vegas. Which is how you end up asking a surly fighter, who has already expressed how disrespected he feels by the whole situation, if he’s worried that his championship window is closing. Though he was quick to respond, Ferguson clearly misunderstood the question — or thought he heard something else. There is no doubt that the former Ultimate Fighter winner is currently one of the elite talents in the lightweight division. He is, as previously stated, on a 10-fight winning streak that includes victories over Danny Castillo, Josh Thomson, Edson Barboza, Rafael dos Anjos and Kevin Lee. Seven of those 10 victories have come by way of finish and he’s taken home seven post-fight bonuses along the way. Ferguson is a creative and fearless fighter whose deep skill set and exceptional conditioning never get the recognition they deserve because everyone is mesmerized by the unexpected attacks and impressive finishes that have become his trademark during this run. But make no mistake about it: the breakdancing wild man whose Open Workout routine looks more like he’s getting ready to battle Zoolander and Hansel on the catwalk than face Pettis in a cage fight has tremendous fundamentals, exceptional conditioning and an absolutely bulletproof will. The trouble is that none of those things have been enough to carry Ferguson into a shot at the undisputed title yet and there are a number of red flags that make you wonder if the successful and talented lightweight will ever get his shot. First and foremost, Ferguson needs to earn a victory on Saturday night to have a hope of challenge for UFC gold in 2019 and while he rightfully enters Saturday’s co-main event showdown with Pettis as the betting favorite, a victory is far from a foregone conclusion. Even if he does win and extend his winning streak to 11, there are no guarantees that Ferguson would be the first choice to challenge for the title, no matter who emerges from the main event as the new undisputed lightweight champion. Fair or not, there is a very good chance the UFC is reticent to book Ferguson against Nurmagomedov again, given that the contest has been scheduled and scrapped four times already, including once the day before the fight and once the week before the fight. Some pairings are just snake-bitten and no one would fault the UFC for wanting to stay away, though never seeing that fight would go down as one of the biggest lost opportunities in MMA history. Additionally, there are other fighters who will be able to make compelling case for a shot at the belt. While none will have as many consecutive victories as Ferguson, the winner of the impending scrap between Poirier and Diaz facing Nurmagomedov would be appealing to a large number of fans. And who do you think the UFC would tab to face the undefeated grappler if Georges St-Pierre were to step up and say he wanted to return and take a run at handing Khabib his first professional loss? In some ways, Ferguson’s best chance might be if McGregor wins because while a bout with St-Pierre would remain a possibility, the Irishman has shown an affinity for winning belts, not defending them, and already started laying the groundwork for a trilogy bout with Diaz for the as-yet-nonexistent 165-pound title. If he relinquishes the title to pursue a third belt in a third division, Ferguson would have a very good case for being one of the two men selected to compete for the vacant title. But let’s say everything breaks his way — Ferguson beats Pettis and the main-event winner wants to defend the belt against “El Cucuy” to prove beyond a shadow of a doubt that he is undeniably the best lightweight on the planet. Even then, there are reasons to be concerned about Ferguson’s championship window. For starters, Saturday’s bout in Las Vegas will be just his second fight in two years and his ability to stay healthy has become a genuine concern. Ferguson fought seven times in 26 months once he returned to action following his loss to Michael Johnson in May 2013, which remains the last defeat on his resume. Since then, he has competed three times, while having been forced to withdraw from two bouts and had another contest — his UFC 209 bout with Nurmagomedov — scrapped through no fault of his own. Some of it is bad luck and elements that are out of his control, but very few people become more healthy, more active and better equipped to deal with the aches, pains, bumps and bruises accumulated in every day life as they reach their mid-30s. And Ferguson, who turns 35 in February, is at a higher risk for getting hurt than your neighborhood pharmacist, a third-grade teacher or anyone else who doesn’t make their living fighting in a cage. One injury would push his title shot back even more, creating an opportunity for others to make a case for contention, as Poirier has done during the last six months. Or opening the door to superstar talents, who might not have the resume to merit a title shot, but have the name value to move major pay-per-view units. That’s why losing the fight between Ferguson and Nurmagomedov last year at UFC 209 stung and why having it fall apart a week before UFC 223 in April continues to hurt to this day. It was a fight both men had earned and one that was going to set the lightweight division back on course after being derailed when McGregor went on paternity leave and made a multi-million-dollar foray into the boxing world. And now, six months after that fight was crossed off the schedule for a fourth time, the 34-year-old Ferguson and his surgically-repaired knee are readying to face Anthony Pettis right before Nurmagomedov defends the lightweight title against McGregor — without any guarantee that he’s got next. Which is how you end up asking an annoyed fighter if he’s worried that despite all his success and having done everything possible to merit a championship fight, his window of opportunity for securing one might be coming to a close? And for good measure, Ferguson wanted to add emphasis to his point. The fact that he never actually answered the question tells me that Ferguson is worried his championship window might be closing and he’s desperate to make sure it doesn’t happen.